The newly established Metal Geochemistry Center at Yale University is a world class trace element facility equipped with two Themo-Finnegan Multi-Collector ICP-MS and one Themo-Finnegan Element XR ICP-MS. A Thermo Finnigan Triton Plus™ multi-collector TIMS will be online at the end of 2017. The labs workspace consists of two separate metal-free Picotrace class ten clean rooms which in total contain 12 hoods and 12 dry down stations. These include two perchloric acid hoods for efficient total rock digests. In addition, we house a New Wave laser ablation system which may be attached to any of our ICP mass spectrometers. Currently, we have set-up and are actively measuring Boron, Chromium, Uranium, Molybdenum, Iron, Strontium and Zinc isotopes. 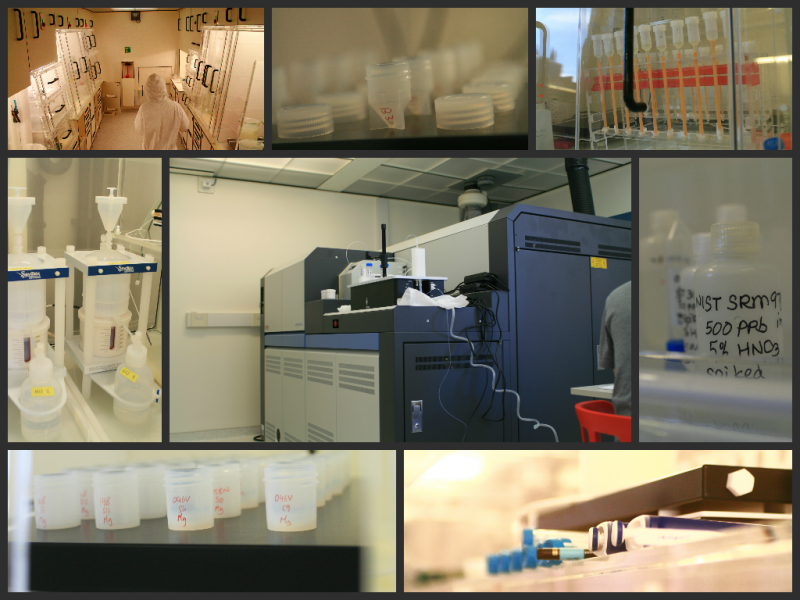 We are also set-up to purify and measure Calcium, Magnesium isotopes and Re-Os geochemistry. Located within the Department of Geology and Geophysics at Yale University, we have access to a number of other facilities housed within our department. The Metal Geochemistry Center is adjacent to the Microprobe Facility, which houses a JEOL Hyperprobe electron microprobe. 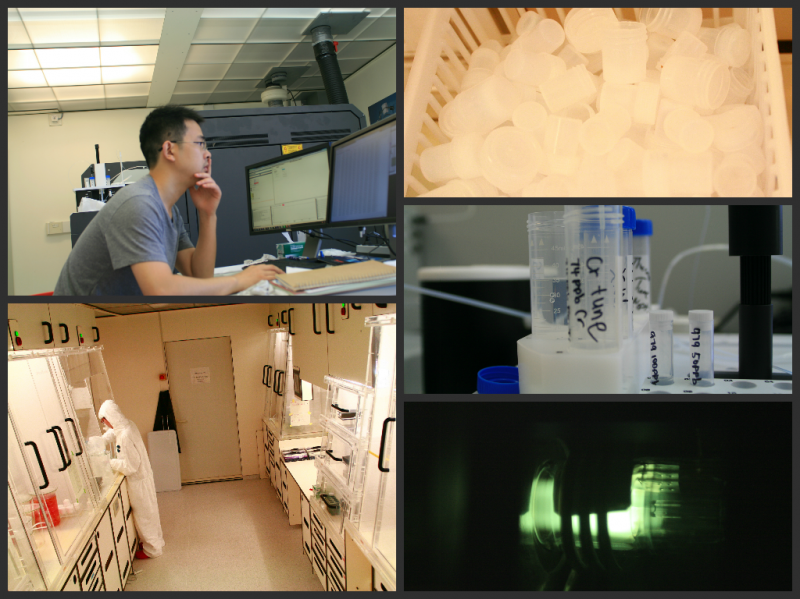 The Earth Systems Center for Stable Isotope Studies (visit their website) is locate nearby and maintains numerous instruments allowing us to conduct most common inorganic geochemistry measurements. The Department of Geology and Geophysics has and maintains a standard sample preparation facility, which contains saws, clean powdering mills and equipment for petrographic thin sections. Partial lab maintenance costs are provided by the Department of Geology and Geophyisics. The price for using Neptunes or Element XR is $1000 a day with technical support or $500 a day without technical support. For more information, please contact Dan Asael (Associate Research Scientist).